All Inserts are cast from a Marine Grade Aluminum and highly polished.Each one is supplied with a stainless button head or allen bolt with chrome cap.These inserts will also fit Evolution® round covers.ILTC-1 AND ILCTC-1 will also fit stage 1,2 and Arlen Ness Big Sucker Air filters.Complete instructions included. Native Spirit in polished aluminum. 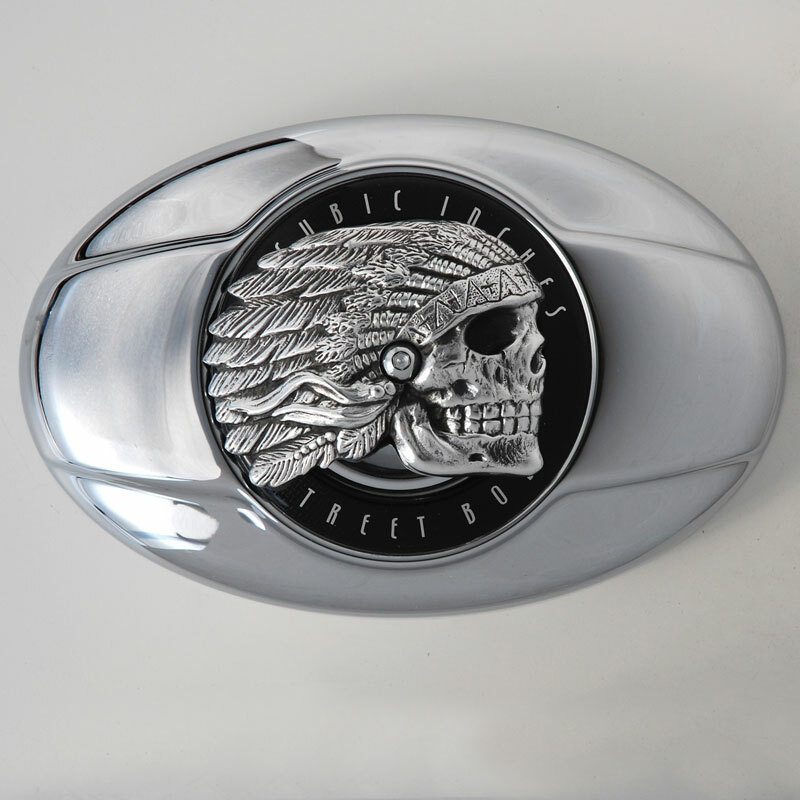 Native Spirit air cleaner cover insert for Twin Cam models in Marine Grade aluminum polished to a mirror finish with black accents. Stainless steel allen head bolt and chrome cap included. Air cleaner cover not included. 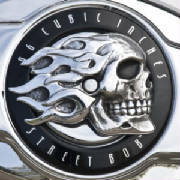 Flaming Skull insert in aged aluminum finish. Matches aged flaming skull horn cover. This finish is done in two steps and lightly polished giving it a nice patina. Air cleaner cover and decal trim ring not included. 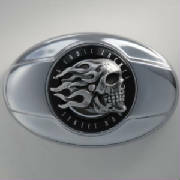 Flaming skull insert for all Twin Cam air cleaner covers in Marine Grade aluminum polished to a mirror finish. Stainless steel allen head bolt and chrome cap included. Fits all Twin Cam air cleaner covers. Air cleaner cover not included. 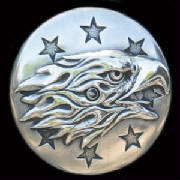 Show chrome Liberty Eagle insert for all Twin Cam, Evo, Stage 1 and 2, Arlen Ness Big Sucker and many more air cleaner covers. Measures 5 5/8 inches in diameter. Stainless steel allen head bolt and chrome cap included. Air cleaner cover not included. 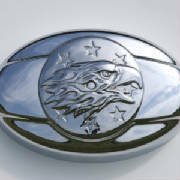 Liberty Eagle insert for all Twin Cam, Evo, Stage 1 and 2, Arlen Ness Big Sucker and many more air cleaner covers in Marine Grade aluminum polished to a mirror finish. Measures 5 5/8 inches in diameter. Stainless steel allen head bolt and chrome cap included. Air cleaner cover not included. 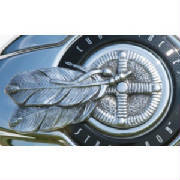 Native American Medicine Wheel air cleaner cover insert for Twin Cam and Evo in Marine Grade aluminum polished to a mirror finish. Stainless steel allen head bolt and chrome cap included. Air cleaner cover not included. 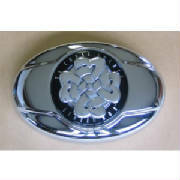 Celtic Knot insert for all Twin Cam air cleaner covers in Marine Grade aluminum polished to a mirror finish. Stainless steel allen head bolt with chrome cap included. Fits all Twin Cam air cleaner covers. Air cleaner cover not included.